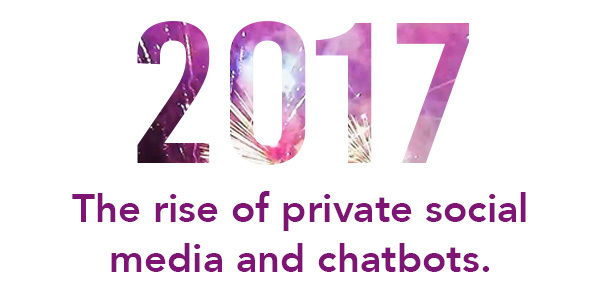 With 2017 in full swing, it’s a great time to think about what lies ahead and how we might see social media develop and change this year. 2016 saw a distinct shift in social media, as people became more focused on communication (private messaging) rather than broadcasting (posting/sharing publicly) and I expect we will see continue to see this trend evolve. 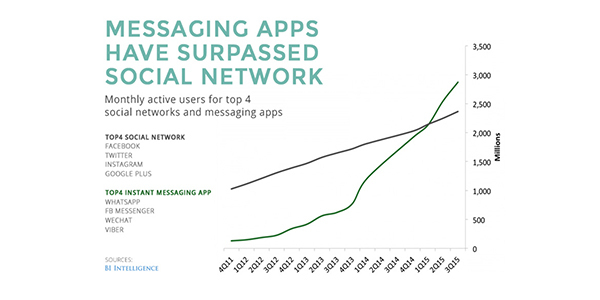 The shift to more personal, messenger style apps reflects a change in the way people want to engage with, and control, their social circles. 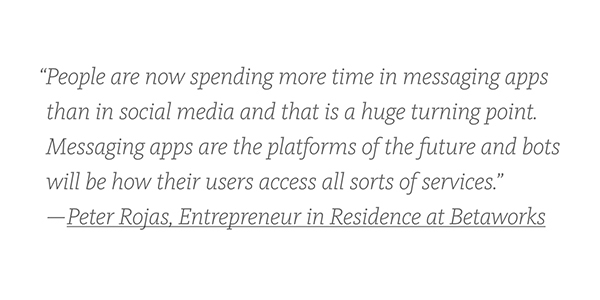 That being said, most of our favourite social platforms have recognised this and are focusing on private features. To put it into perspective; Facebook is the largest social network in the world, yet their major investments have been in the development of Facebook Messenger, which more than 900 million people now use. 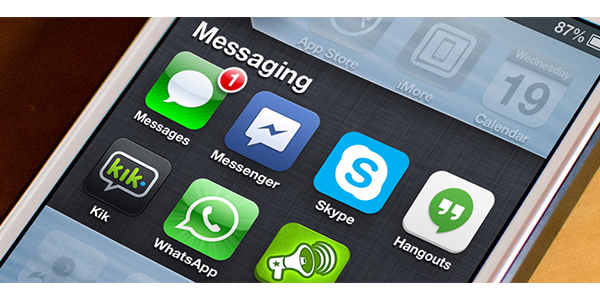 WhatsApp has more than a billion users and is now the biggest messaging service in the world, whilst other apps like Viber and Kik still maintain a piece of the pie with millions of established users in certain demographic groups. For many companies, this has resulted in a loss of contact with the customer on social media, forcing them to explore messenger platforms. The only way these companies can accommodate the need for one-on-one, private interaction is to find a way to automate the process wherever possible. Enter, chatbots. There are two types of chatbots, one is based on a set of rules and is very limited, and the other more advanced version uses a form of artificial intelligence, allowing it to become smarter as it interacts. The idea is to develop these AI chatbots so that we can use social media as a portal, rather than the middleman it currently is. Instead of social media platforms acting as a gateway directing people to a brand’s website or channel, chatbots generate the potential for consumers to read and receive information, ask questions, and even make purchases. Chatbots can create great opportunities for the development of customer service. Personally, I prefer to use messaging services over phone calls for customer support, mainly to avoid the irritating automated voice responses and long hold times. 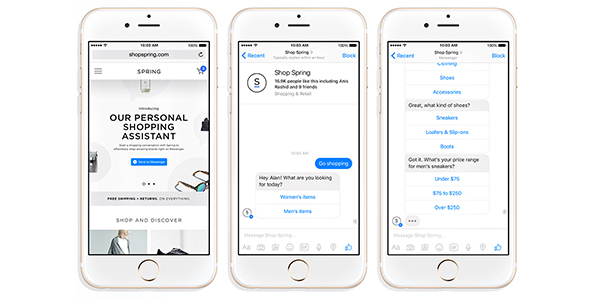 Consumers also tend to expect a response within an hour or so, which would be an overwhelming task for a lot of brands, but the AI chatbots make it a feasible expectation. Whilst chatbots are more prevalent today, there are still a lot of developments to be made, which will take time and experimentation. The great news is that artificial intelligence assimilates, so the more that brands and consumers engage with it, the better it will become.